The Harris County Law Library's collection of combined forms packets contain valuable self-help instructions and forms from TexasLawHelp.org. The packets on this page have been assembled to assist institutions that help self-represented litigants who need printed forms, such as county law libraries, public libraries, clerk's offices, and community centers. If you are an individual representing yourself, please visit TexasLawHelp.org to find interactive checklists and chat assistance that will provide additional guidance. Note: Most of the instructions and forms included in the combined forms packets were originally developed by the Travis County Law Library for use throughout Texas. Countless Texans have benefited from the hard work and dedication of the reference attorneys and law librarians in Travis County and we at Harris County Law Library appreciate their efforts immensely. The Combined Forms Packets page is updated regularly as changes to the law are adopted and incorporated into the TexasLawHelp forms. For additional content on any number of legal topics, as well as Toolkits, Checklists, and FAQs that will assist self-represented litigants in completing the TexasLawHelp forms, please visit TexasLawHelp.org in English or Spanish. June is Continuing Legal Education Resource Month at the Harris County Law Library. Explore our new collection of 2017 State Bar of Texas CLE resources, in the Law Library's print collection, for research and self-study. If you're in search of free CLE opportunities online, take a look at our On-Demand Learning resources on the Harris County Law Library's Legal Tech Institute web page. Here you will find live recordings of our LTI CLE programs on topics such as Legal Practice Technology, Finding & Formatting Legal Forms, The Robot Lawyer: Artificial Intelligence in the Practice of Law, and Excel Essentials for the Practice of Law. Note that the courses can be viewed free of charge, and attorneys can earn MCLE credit for watching them. The Texas Young Lawyers Association is providing another valuable resource for those seeking free CLE credit and an opportunity to improve communication with Spanish-speaking clients. 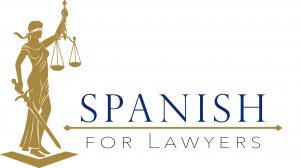 Spanish for Lawyers CLE Course just launched on June 1st. The program, which was produced at the Texas Bar CLE Studio, is comprised of 10 web-based classes which are 35-45 minutes each for a total of 9 hours of instruction. The course is approved for 5.25 hours of MCLE credit and includes beginner Spanish instruction focused on the use of legal vocabulary in various subject areas, including employment law, family law, civil law, criminal law and immigration law. Class 6, which is focused on engagement and providing advice to Spanish-speaking clients is eligible for .5 hours of ethics credit. In addition to the video instruction, each class is accompanied by a presentation, a pre-class vocabulary list, post-class homework and an MP3 file for oral vocabulary practice. Don't forget that the State Bar of Texas CLE offers some free CLE courses online, and the Texas Young Lawyers maintain an extensive library of short videos on their website, Ten Minute Mentor. Legal experts in specific areas of the law provide short instructional presentations, which, after viewing, can be reported for self-study CLE credit. Finally, the Harris County Law Library offers a weekly, one-hour CLE program on some aspect of legal technology as part of its Hands-on Legal Tech Training series. Courses are offered at the Law Library in the Legal Tech Lab every Thursday at 2:00 pm. For the month of June, we will offer Find and Format Legal Forms, MS Word for Legal Work, and Free Legal Tech for Legal Professionals on a rotating basis. For details and to register, please visit the Legal Tech Institute website. The Harris County Law Library has created several research guides on a number of popular legal research topics such as family law, labor and employment, real estate law, and civil and criminal litigation. Our newest guide, now available in the Law Library and on the Law Library's website, is the Spanish Language Resources Research Guide. Provided is a directory of Spanish language materials in the Law Library's print collection as well as links to digital resources available online. Topics covered are immigration, wills and estates, landlord/tenant, family law, consumer law, and criminal law. Community legal resources are also included along with general reference guides on the legal system in Texas. If you have any questions about accessing these resources or about finding Spanish language legal services in the Greater Houston area, please speak with a member of the Law Library's reference staff.